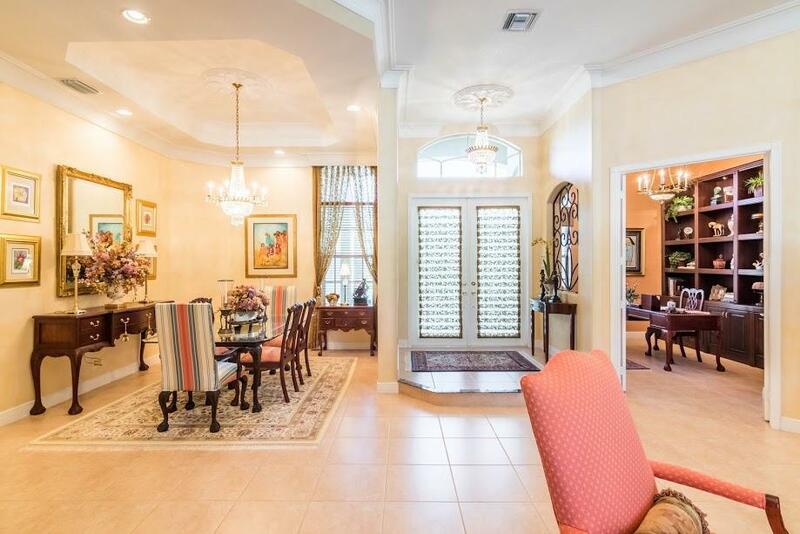 BEAUTIFUL LAKEFRONT HOME LOCATED IN PALM ESTATES OF MADISON GREEN. A HOME HAS FINALLY BECOME AVAILABLE IN THIS SOUGHT AFTER COMMUNITY. 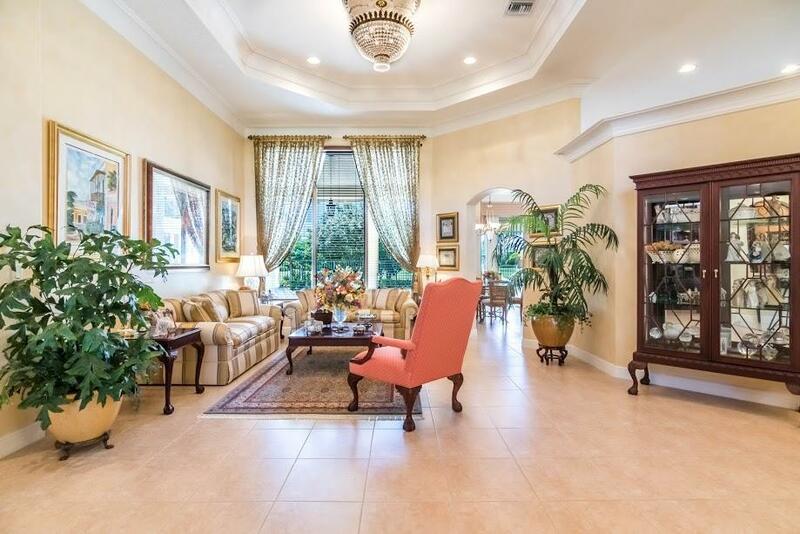 OPEN FLOOR PLAN, CROWN MOLDING THROUGHOUT THE ENTIRE HOME AND HIGH-END WINDOW TREATMENTS. THE OFFICE INCLUDES BEAUTIFUL BUILT IN WALL UNIT. 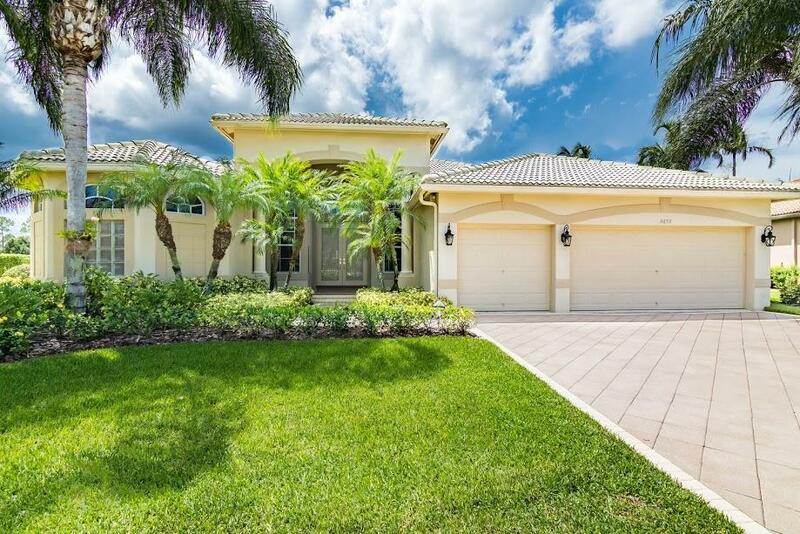 TOP OF THE LINE KITCHEN WITH GRANITE COUNTER TOPS AND PLENTY OF CABINET SPACE, PANTRY, WALL OVEN, DOUBLE MICROWAVE, A TRUE CHEF'S DELIGHT.LARGE MASTER BEDROOM WITH WALK-IN HIS AND HERS CLOSETS AND DOUBLE SINKS IN MASTER BATH. 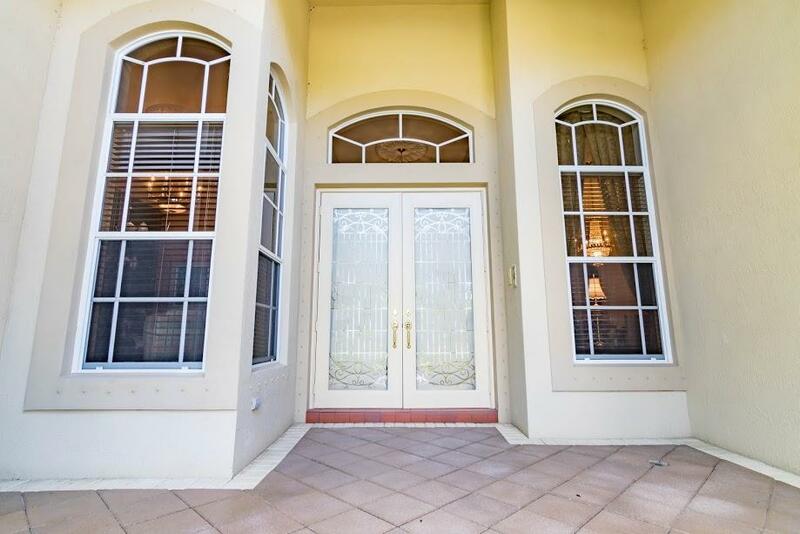 YOU WILL LOVE RELAXING BY THE POOL WITH VIEW TO THE GOLF COURSE AND LAKE UNDER THE COVERED PATIO WITH 3 RETRACTABLE AWNINGS TO PROTECT YOU FROM THE SUN. PERFECT FLOOR PLAN AND COMMUNITY FOR THE ENTIRE FAMILY. BRING YOUR GOLF CLUBS, SWIM SUIT AND PLAYING CARDS, THIS COMMUNITY HAS IT ALL.